Greek artists from around the world, along with Jewelry and Fashion Designer,s have come together to help Greece’s economic recovery by donating artwork that will be sold in a silent and live auction on Friday, September 21 at The Hellenic Initiative’s (THI) Sixth Annual Gala in New York City to be held at the New York Hilton Midtown. This year’s honorees are Paul Polman, CEO of Unilever and THI’s Regeneration Program Partner and Philanthropist Corinne Mentzelopoulos, Owner of Château Margaux. The Hellenic Initiative (THI), which leads the Greek diaspora community internationally in raising awareness and capital for Greece, is hosting its 6th Annual Gala to raise funds that will be invested in entrepreneurial programs in Greece. The gala also will support Greek NGOs that foster economic development opportunities and provide crisis relief for underserved communities in Greece, particularly children. Last year’s gala raised more than $2 million. Paul Polman is the CEO of Unilever and THI’s Regeneration Program partner. THI’s ReGeneration program was launched in 2014 to train, mentor, and place highly qualified millennials in internships at top Greek and multinational companies. More than 320 internships have been created at more than 100 companies. Recognized as the top internship program in Greece, more than 80 percent of participants secure a contract extension or hire. Corinne Mentzelopoulos is a philanthropist, owner, and CEO of Château Margaux. 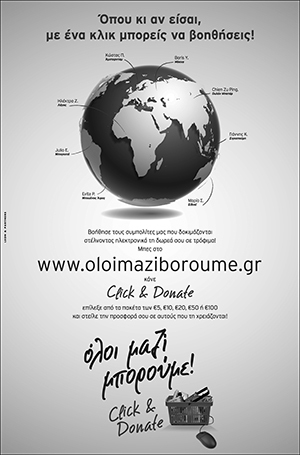 Founded in 2012, THI is a global, nonprofit, secular institution mobilizing the Greek diaspora and Philhellene community to support sustainable economic recovery and renewal for the Greek people. THI’s programs address crisis relief through strong nonprofit organizations. THI also builds entrepreneurial skills in a new generation of business leaders.